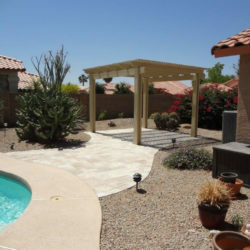 Need to escape the hot sun? 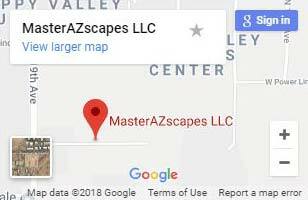 Arizona’s desert heat can be a bit much sometimes. 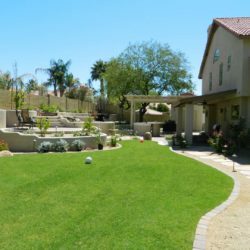 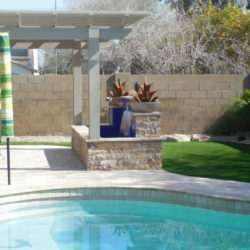 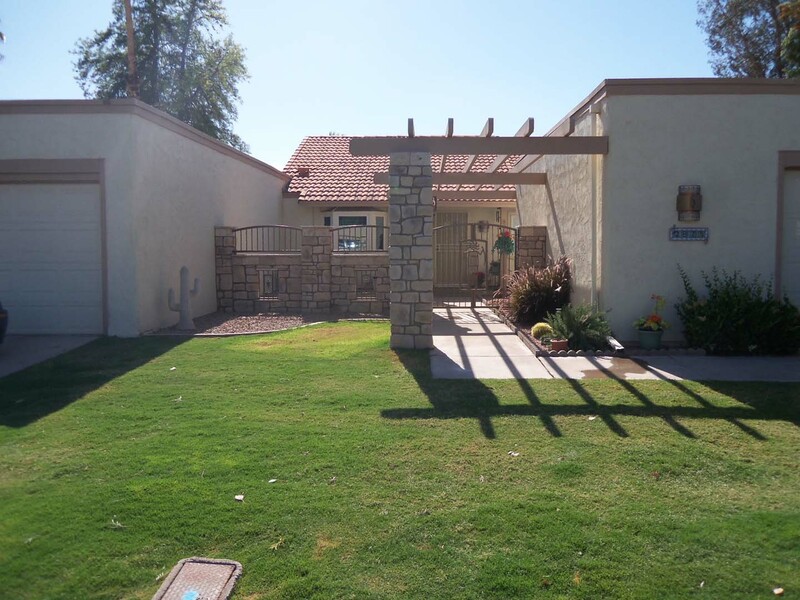 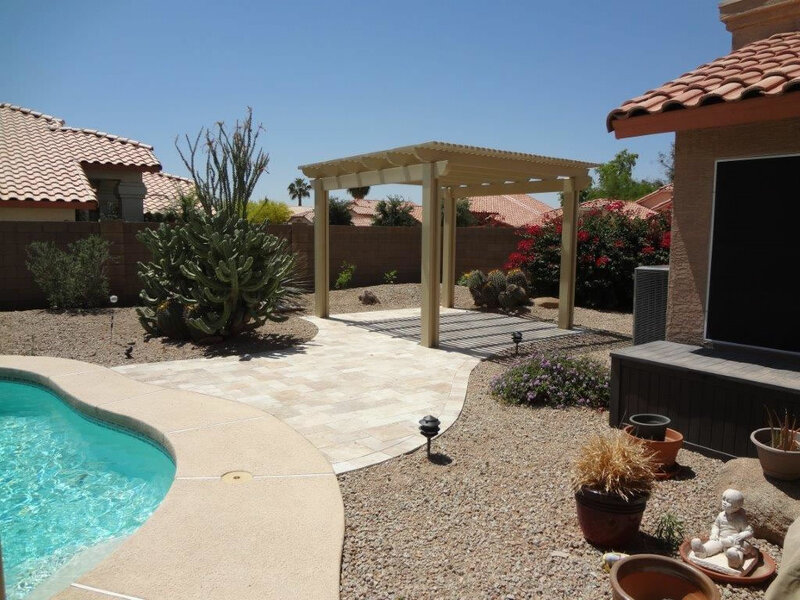 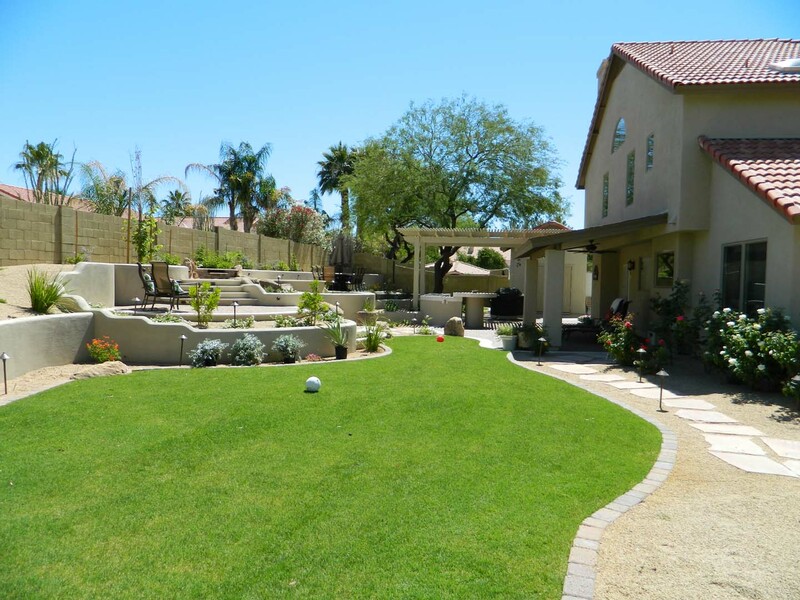 Having relaxing shade structures, Phoenix residents can stay cool in the warmest temperatures. 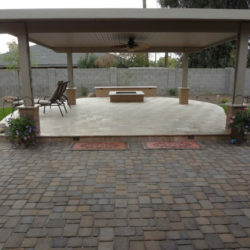 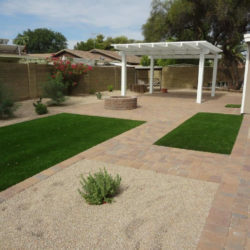 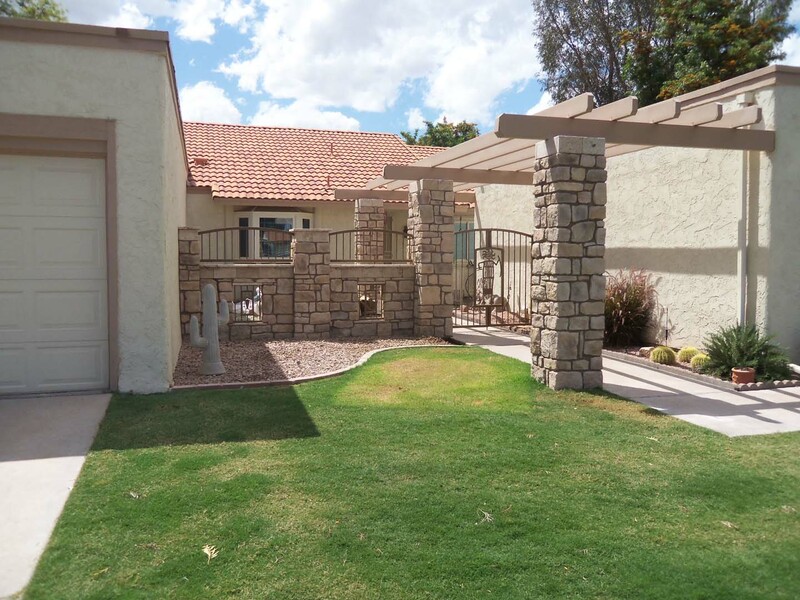 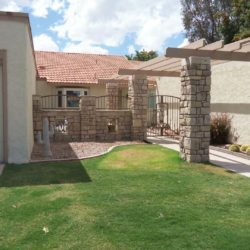 MasterAZscapes LLC’s landscapers specialize in a variety of shaded landscape structures ranging from lattice covers, to pergolas, and even ramadas! 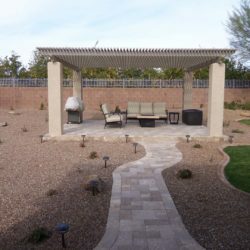 Our shade structures coupled with vegetation and a water feature can dramatically alter the hot, arid climate of your yard into a cool, relaxing oasis. 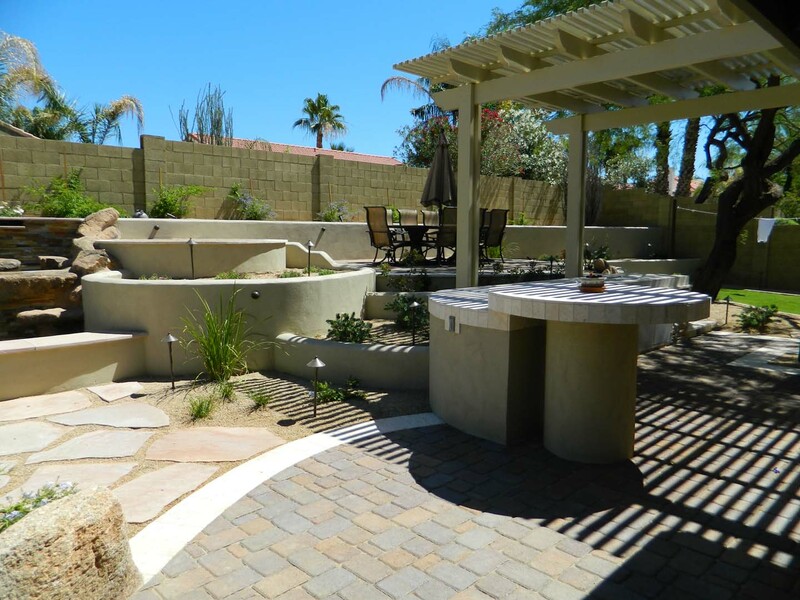 Let our designers work with you to help make your backyard the place to be, year-round! 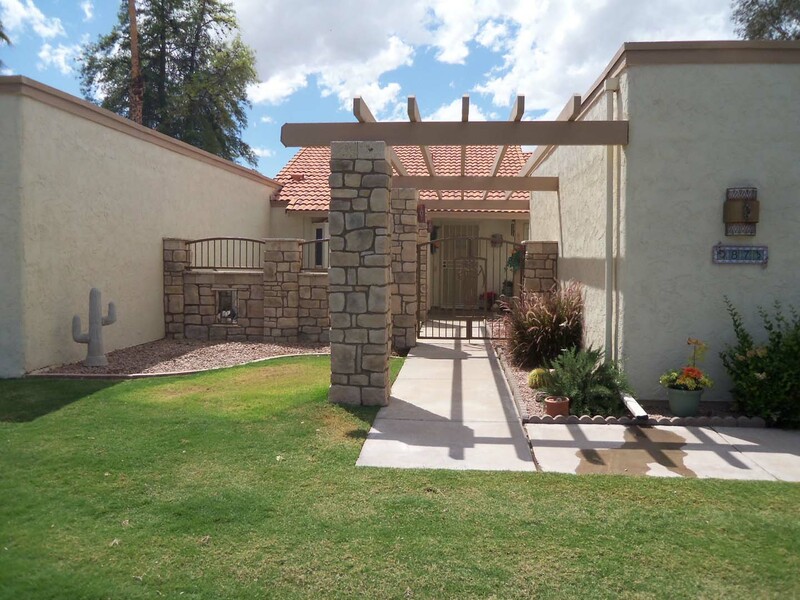 Adding an awning-style shade structure not only makes the outdoor space more usable, it also helps keep the sun away from sliding doors and windows. 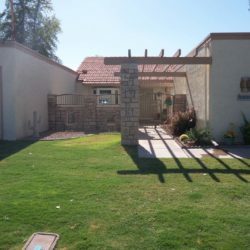 This can greatly decrease your utility bill by naturally reducing the heat around your home or office. 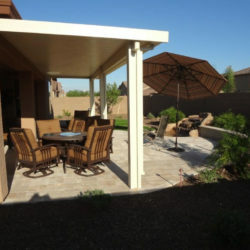 With shade structures, Phoenix patios and outdoor furniture are protected from fading and deteriorating in the direct sunlight. 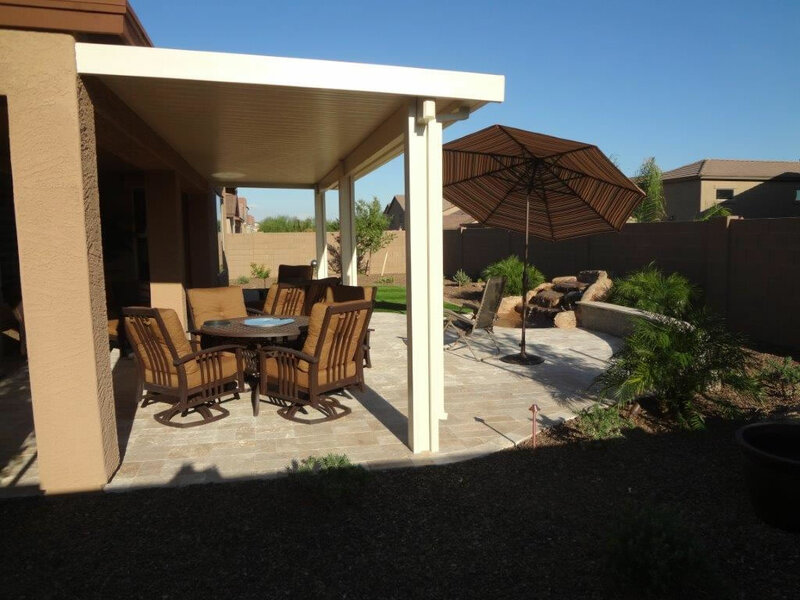 The right amount of shade can make an outdoor space into a well-used extension of your home. 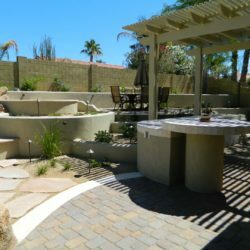 Especially when combined with an outdoor kitchen, hardscaping, decorative pavers, or other accents that bring out the aesthetics and functionality of your yard. 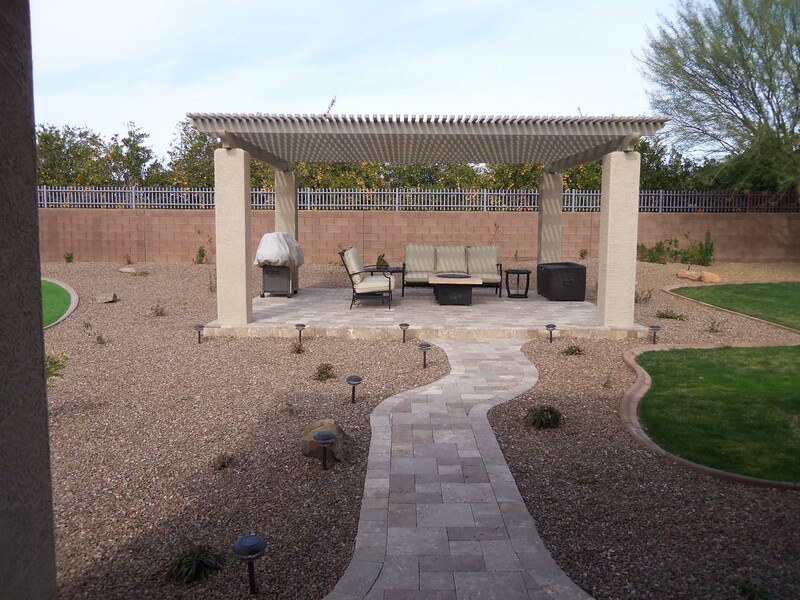 When combined with outdoor lighting, shade structures easily turn into an evening entertainment space. 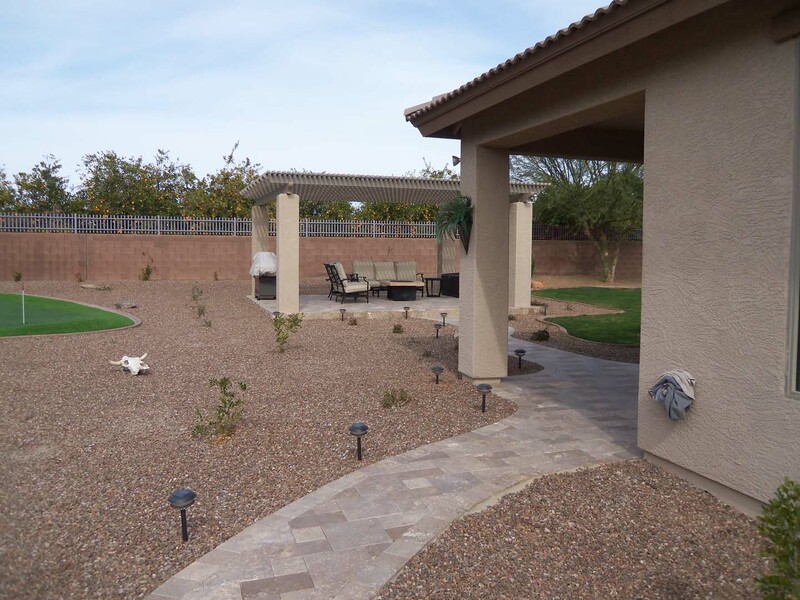 Our landscape design technicians come look at your space and discuss your ideas with you. 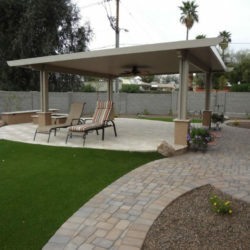 We listen to your needs and help narrow down some custom shade structure designs you might like. 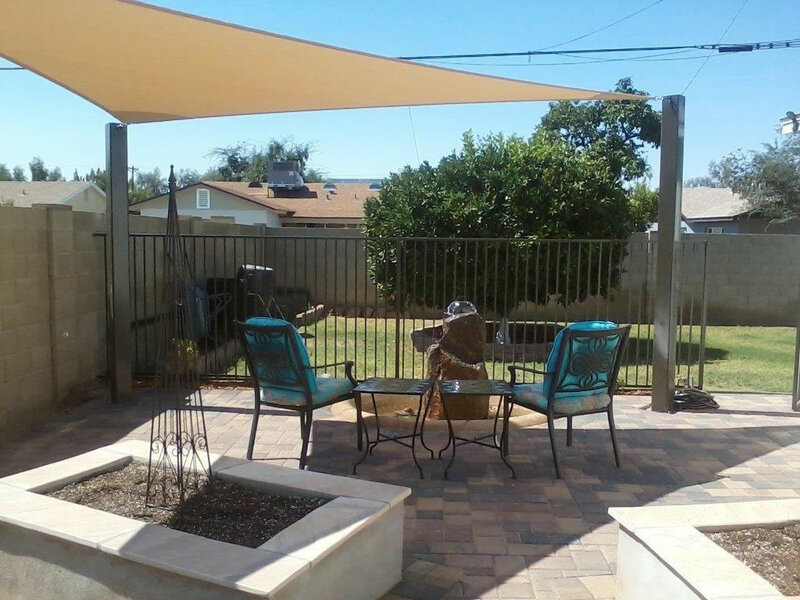 We draft ideas and co-create the most effective shade structures in the style that best fits your personality and your home or business. 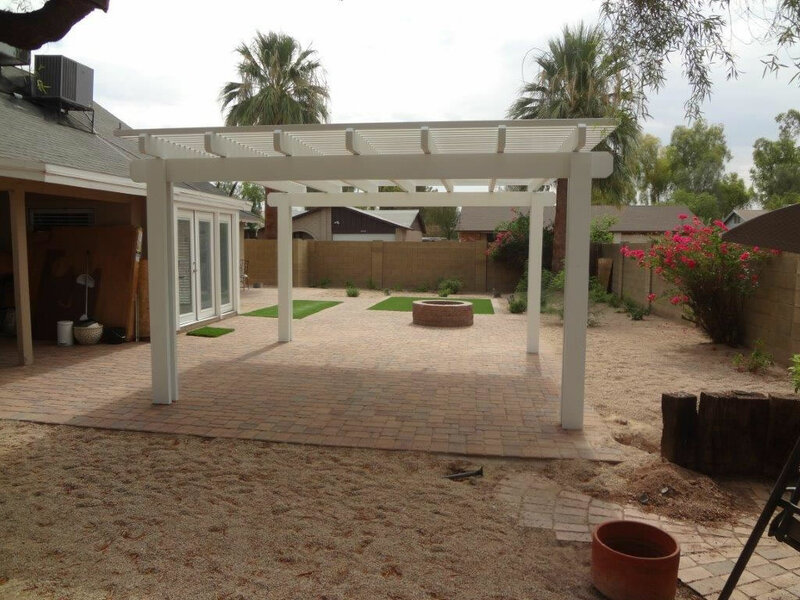 With a variety of options available, we design a shade structure that falls into your budget. All our shade structures are made of the best materials and quality craftsmanship, so they are built to last. 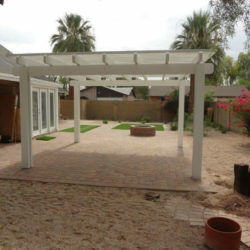 We can seamlessly incorporate the structure into your home’s design. 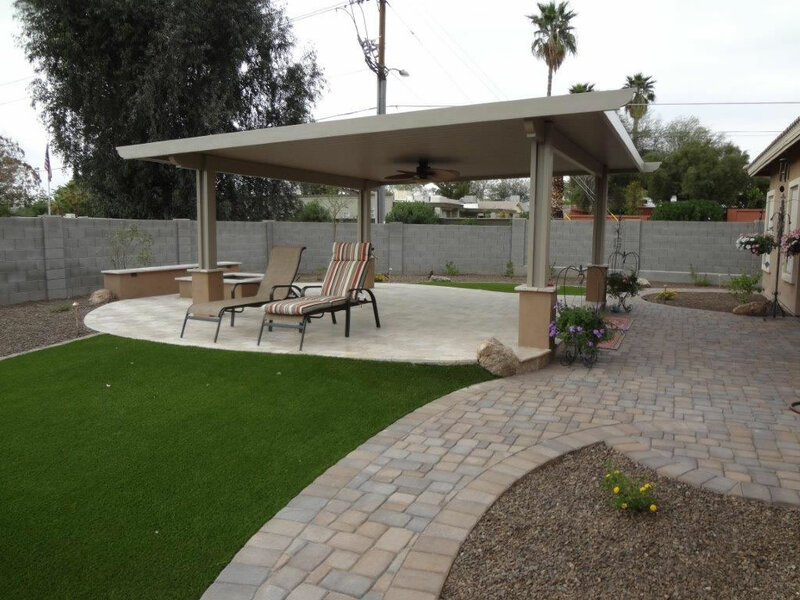 From gazebos to tent-styles, and from Japanese lines to Greco-Roman styles—we custom design any shade structure you desire. 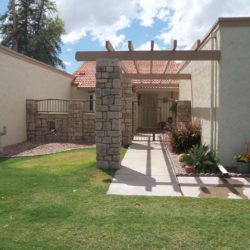 We are able to do large-scale commercial shade structures, such as an outdoor break room for your business or a patio eating area for your restaurant. 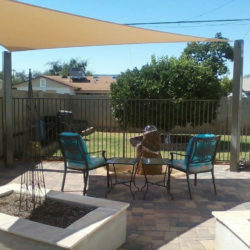 We can shade-in an apartment courtyard, tennis court, or play area. 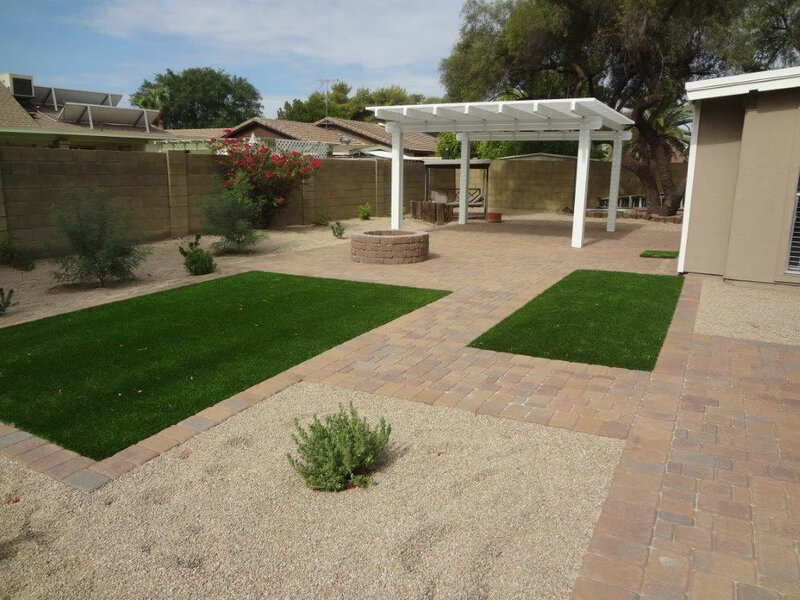 Perhaps you envision a cooler, sun-protected area where your kids can play outdoors. 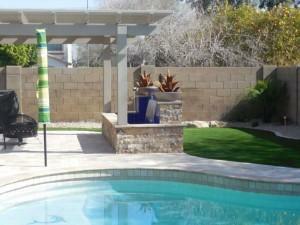 We can install a shade structure over playground equipment, sandboxes, or any other play area you have in mind. 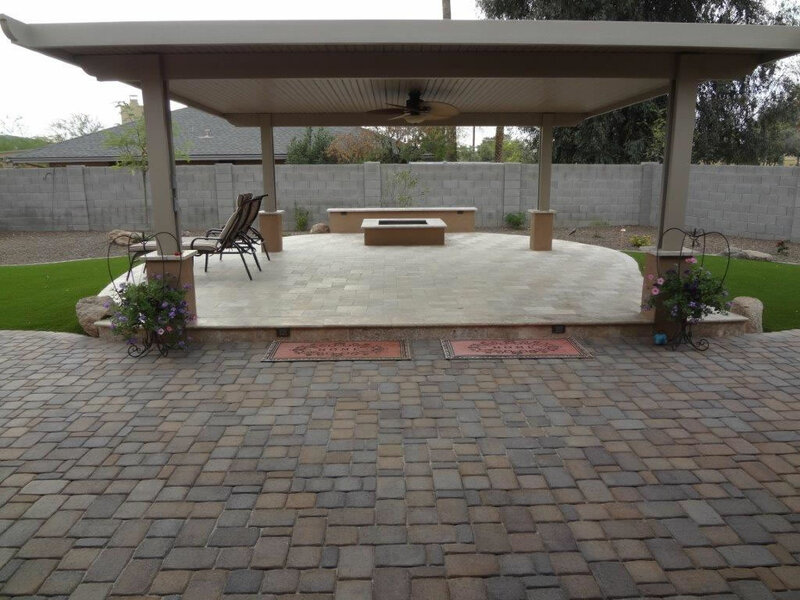 Call (623) 780-0474 today for a FREE Design Consultation! 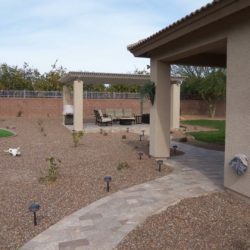 Building structures is not the only way to get cool shade in your landscape, properly placed trees can also help provide a natural way to provide shade in your landscape and keep you cool.